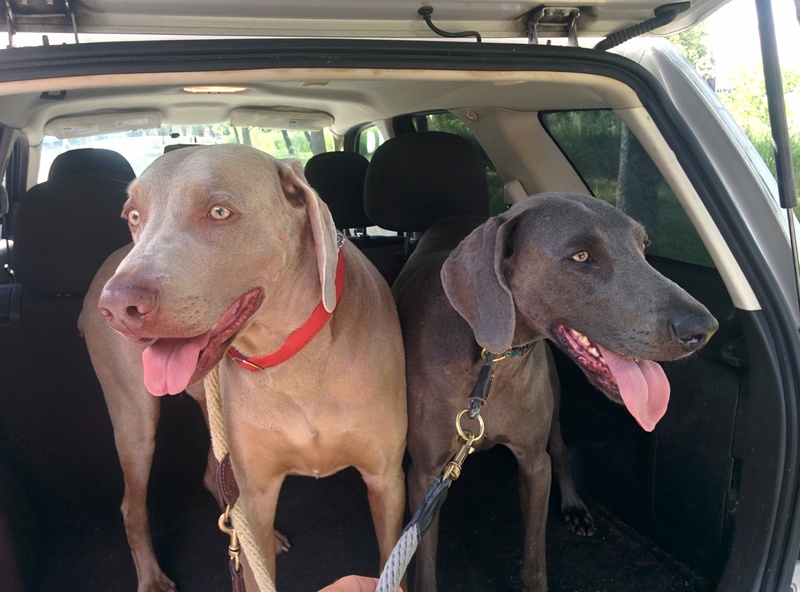 London (male left) and Rose (female on right) are beautiful, beautiful, sweet weimaraners that love to run! London, who’s older, tries his best to please Rose and keep up. Rose wants to be the boss of everyone. They are running with us Five days a week and thankfully it’s at 8am, when we are at our best. They are incredibly fast. London and Rose’s parents called us because they love their dogs and know their dogs love to run. So far the feedback has been.. “Normally they are very excited to go out for their 3pm dog walker, since you’ve been running with them in the mornings, we practically have to beg them to go outside at 3pm” and “we mention your name and they scratch at the door”. We adapt our running style to suit Rose and London’s needs, this means we have all out battle sprints and a very very quick pace for the whole session. We love these dogs! We love making them happy and they are why we are runners.. And also weimaraners. Thank you for joining us!